Be both imposing and properly armored for battle. Stand tall with your shoulders squared and protected by the Artax Leather Pauldrons. 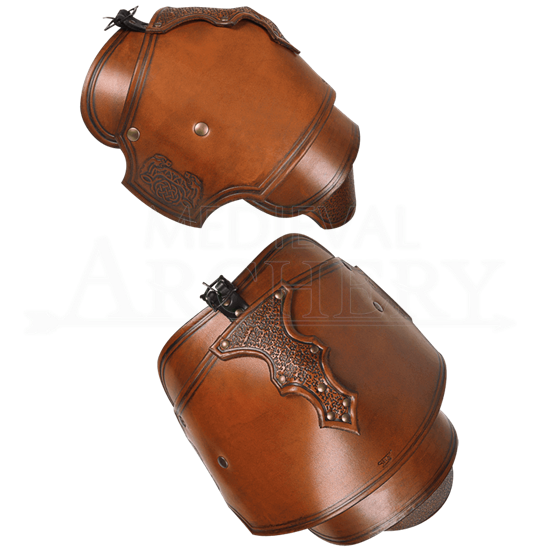 Crafted from quality leather, these spaulders increase your defense for light combat and training. This package includes one pair of pauldrons. Each spaulder is composed of four flexible, interlinking segments. An antique patina, hammered finish accents, and embossed images of griffins create a look that is both distinctive and impressive. 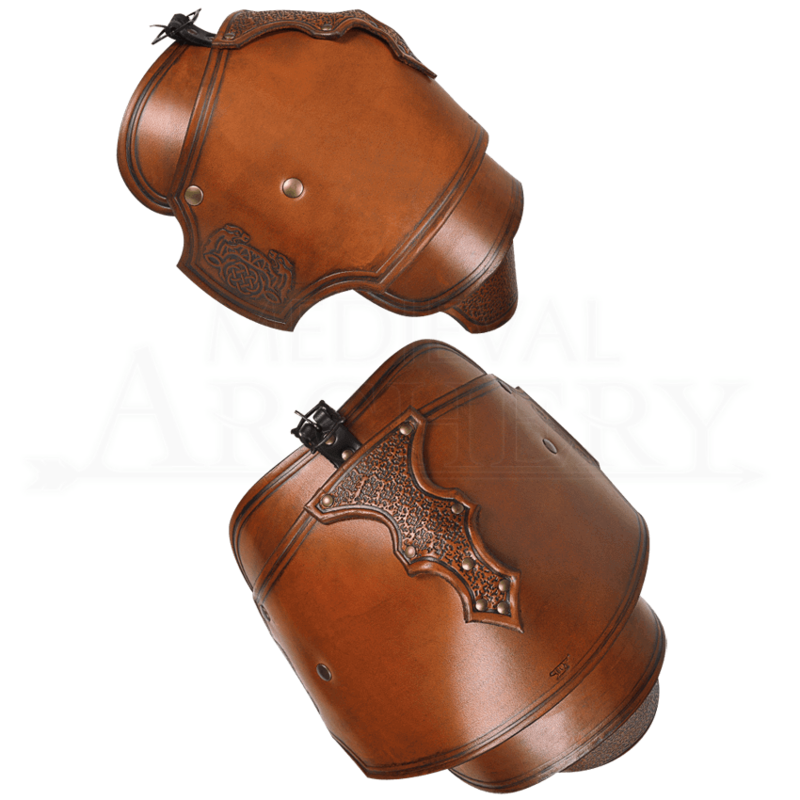 A buckle strap adjusts the fit at the underside of the arm, while the top strap easily attaches to a cuirass or gorget.